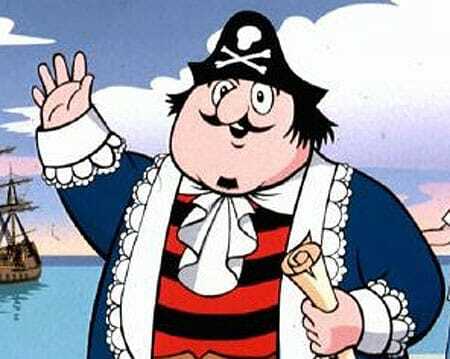 1 captain pugwash | This Blog Rules | Why go elsewhere? Talk Like a Pirate Day may have been and gone, but pop culture’s love affair with pirates is still going strong (ew, a half rhyme). While there were a great many awesome pirates throughout history that actually existed, you can’t deny that there are just as many equally cool ones who didn’t. As such, here is a list of what might possibly be the best pirates to never sail the seven seas.